I've really gotten into coffee the past year-ish, so I decided to add a coffee section to my site. I'll be the first to admit, I'm still a bit of a coffee newbie, and my coffee knowledge isn't anywhere near the level of my brewing knowledge. I found with my homebrewing hobby that it really helped to document recipes, notes, mishaps, etc. So I'm thinking a similar approach should help as I work towards increasing my coffee knowledge. The story of how I got interested in coffee is kind of silly, but keep in mind I was raised in the Mormon church where coffee is just as, if not more taboo than beer. One time when I was a kid, my mom accidentally bought coffee ice cream. I remember telling my mom that the ice cream tasted funny, kind of burnt. Fast forward to adulthood and I never really had an interest in trying coffee (still clinging to my Mormon upbringing) but my lovely never-Mormon wife drank it all the time. Fast forward a little more to when I started getting into beer, I'd often comment to my wife about how I really enjoyed the roasty toasty notes in stouts and porters, and she'd always point out that those flavors were very similar to coffee. On a trip to SoCal about three or four years ago, I ordered a pint of Naughty Sauce from Noble Ale Works. Naughty Sauce is a golden milk stout infused with coffee and I absolutely love it. So long story short, beer kind of gets credit for getting me into coffee. For Christmas in 2017, my wife bought me a Whirly-Pop coffee roasting kit from Morebeer. Kind of like with homebrewing, I was hooked and I was able to roast some really tasty coffee. Now I should mention, I prefer iced coffee with milk and some sweet cream. My daughters like to tease me that I drink "white girl coffee". I don't like it too sweet, but I definitely do like a touch of creamer. And it doesn't matter if it's the middle of summer or the middle of winter, I prefer my coffee iced. As I said, my wife bought me a Whirly-Pop coffee roaster and they work great, plus they're a relatively cheap way to get into coffee roasting; kind off the equivalent of the starter beer brewing kits. There are some downsides though, such as it can be challenging to get consistent repeatable results. Also, you have to crank the handle during the entire roast so as not to scorch the beans. Being the geeky guy I am, I motorized mine which improved the experience quite a bit and let me focus on the roasting process rather than cranking the handle. Fast forward to Christmas 2018, and my wife surprised me with a Behmor 1600 Plus coffee roaster. 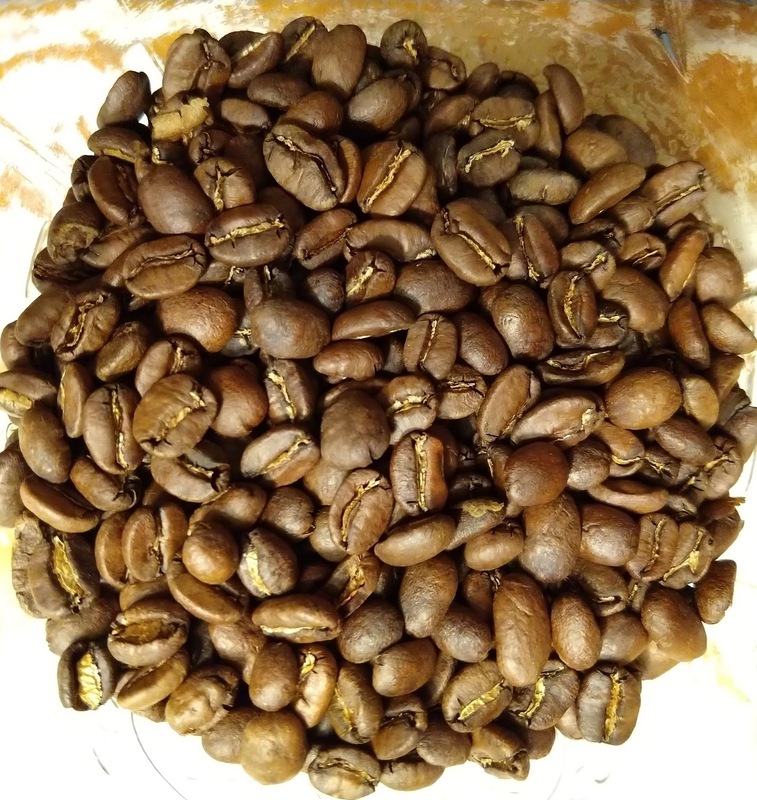 I've roasted a couple batches so far and I'm super pleased with the consistency of the roast between batches, and how evenly the beans in a single run are roasted. This got me to thinking, I should document the process for each batch so that I can hopefully repeat the results on a regular basis. Here's my first documented "roasting profile" for the Behmor 1600. This one is a Full City Roast based on one outlined on Sweet Mariah's website. I just used the following roast for Sumatra Wet Process Gunung Tujuh. City+ yields a sweet foundation of burned sugar and caramel/toffee, a yellow custard note, dried apple, tamarind, a basil hint, and a vibrant rindy orange flavor. A clean, wet processed Sumatran coffee. City to Full City. Good for espresso. Another wild red today. I managed to get my hands on some 30 gallon barrels a ways back. I'm considering brewing this recipe 3xs, in order to fill one of these barrels, effectively starting a new solera project. Here's the recipe I'm planning on brewing today. Mash at 160F for 60 mins, 90 min boil, primary and secondary at room temp. No issues. Gravity came in at 14.4P (1.057). Fermentation has slowed down quite bit and the krausen has started dropping. There's still quite a bit of yeast in suspension. As expected, the aroma coming off the fermenters is kind of fruity. As I indicated on 2/19, fermentation has slowed. It's still plugging along with a thin film of bubbles and a burp in the airlock about once every 20 seconds. I finally got around to brewing the second third (10 gallons) for the barrel today. I temporarily transferred the first 10 gallons to kegs then racked right on top of the yeast cake. No issues other than a little but if a boil over when I wasn't paying attention. Batch #2 is actively fermenting this morning. Currently, it has a couple of inches of Krausen. I'll double check it before I leave for work, just in case I need to add a blow-off. Imperial Global Yeast - I got my hands on a very fresh pack. I decided to try splitting it in half and doing (2) 1L starters on my shaker table. On the first round, I pitched two packs. Mash at 151F, 90 min boil, start fermentation at 46F, ramp up to 52F over 6 days, diacetyl rest when gravity ~1.016. No issues. This beer is the first one to go into my new ferm chamber. OG came in at 13.9 brix (1.055). I was able to chill down to about 51F before moving it into the ferm chamber. Fermentation was fairly active the morning after pitching and is still chugging along. As of this evening, the gravity is down to ~1.027. I may be ramping the temp up for the diacetyl rest in the next 24-ish hours. 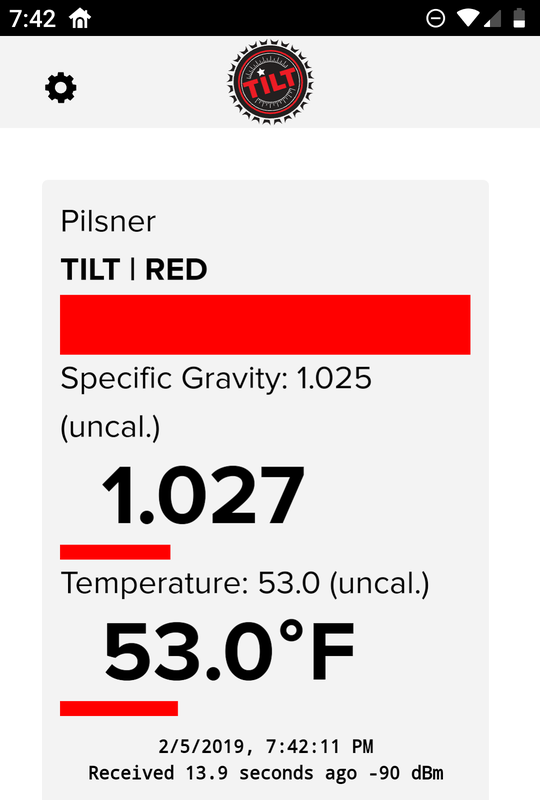 Gravity is down to 1.019 tonight, so I'm starting to ramp the temp up for the diacetyl rest. Dry hops went in this morning. I'll leave them in for a few days before cold crashing, then kegging and fining. I started cold crashing tonight. I'm not sure how fast these new ferm fridges will be able to chill, so this is a little bit of an experiment. I usually prefer to drop the temps, maybe 5F at a time, over a few days time. This is based on advice from Jamil, I believe in either a Brew Strong or Brewing With Style podcast. Regardless, Jamil indicated the yeast will sometimes release compounds that can lead to off flavors and flaws in the finished beer if the temps drop too rapidly. I'm also using the Mylar balloon filled with CO2 as it should help reduce the amount of dissolved oxygen in the finished beer. I kegged this beer tonight. Gelatin was added to the keg, then the beer was racked on top. I have a low O2 transfer kit I've assembled that I'm using for the first time. I also tried a small sample and it definitely seems to have noticeably more hop flavor and aroma than batch #1 ever did.